What pairs well with a silky, summer chardonnay? How about a bold, bright abstract painting—or a painterly Charleston streetscape? 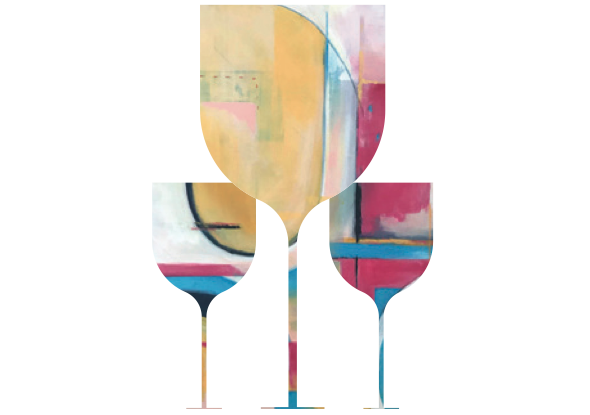 The Charleston Gallery Association believes that experiencing great art is only enhanced when also experiencing great wine—not to mention live music and delicious hors d’oeuvres—and that’s why the CGA is hosting its Summer Wine Bouquet at the historic Mills House hotel for the second year on Sunday, October 21. This year, more than 20 galleries will display artwork—some also bringing along artists to do live painting demonstrations—in the gorgeously renovated grand ballroom. There will be artist lectures on topics ranging from techniques to collecting art. And of course, numerous wine vendors will also be on site, offering a selection of crisp summer wines. “With live music by Charleston’s beloved Kevin Patton Quartet and a handful of wine tasting stations, guests will be delighted by the sights, sounds, and tastes at the 2018 Summer Wine Bouquet,” says Miller.